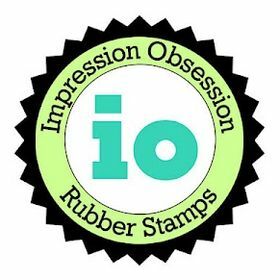 For the Whimsy Stamps World Card Making Day Blog Hop please click HERE or scroll down to the post below this one. 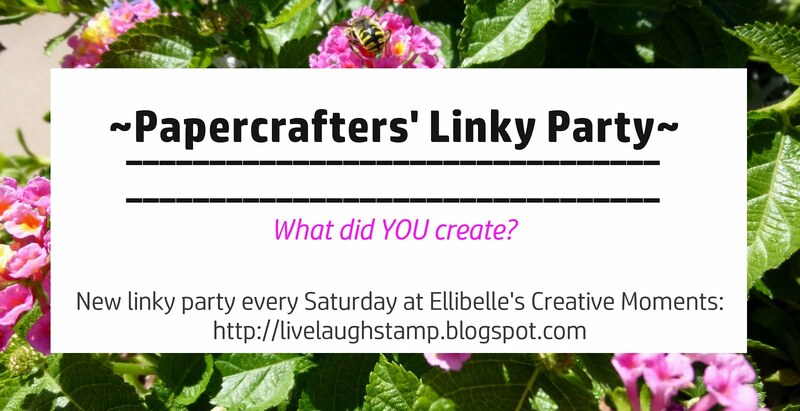 Hello and welcome to the October WordPlay Saturday Challenge here on my blog. As I mentioned last month, this this month the new challenge will go live the first saturday of the new month, since I have family visiting me from overseas and staying with me until the end of the month. Before I get to the new challenge, it's time to announce last month's winner. Congratulations! Please email me your complete address including country so I can get the stamp sent out to you. 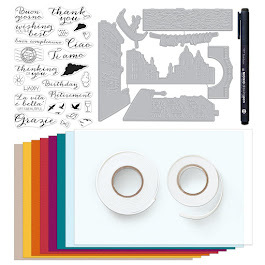 So feel free to share any new papercrafts creation! Don't forget you can enter up to 4 times. 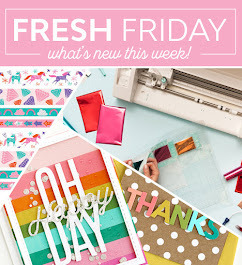 Here is what I am sharing today, using a super sweet stamp from Whimsy and Stars Studio Designs, by Mabelle R.O. You can find this digi HERE in her etsy store. I made the "hills" by using parts of oval diecuts, and then adding glitter to the edges. 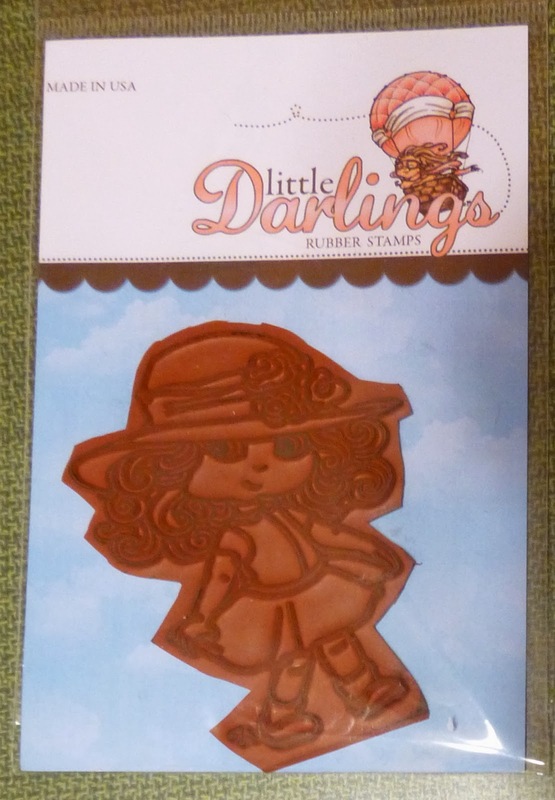 This month the prize is a cute stamp from Little Darlings Rubber Stamps. It comes from my own personal collection, and has been slightly used as you can see. 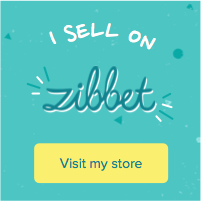 Thank you for the new challenge and a chance to win a stamp - enjoy your week! What a beautiful card! Great inspiration! Thank you for another fun challenge - such a cute prize too! That card is just so cute!!! Hi, what a beautiful card! Ellie is coloured so beautifully. Thanks for the challenge - just linked my card up to #82 - thanks in advance if you get a chance to peek.